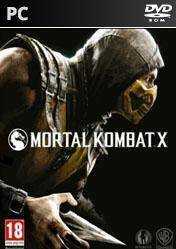 Mortal Kombat X is the next installment in one of the fighting sagas most recognized and appreciated in the world of video games. This release will be a step ahead this kind of games, because it will use an engine that will allow us to enjoy a level of graphics and detail unprecedented in the genre. Both the gameplay and movements promises to be truly spectacular, we can see how we break the bones and organs to our enemies with special movements and, as expected, will enjoy a huge amount of fatality moves, not suitable for the weak. Will be an evolutionary step for the genre of fighting and a whole graphic revolution only suitable for PC and next generation consoles power.